Martie Janse van Rensburg, former chair of the Denel board, told the Zondo Commission a decision by former Public Enterprises Minister Lynne Brown to “remove” the board of the State-owned defence and technology conglomerate in 2011 was not reasonable. Janse van Rensburg was replaced as chair by Daniel Mantsha. 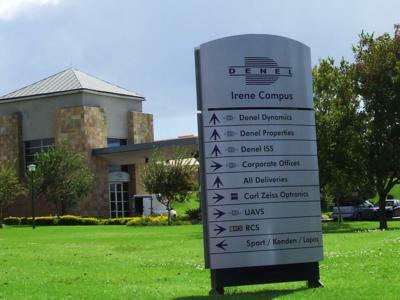 Another request by Janse van Rensburg and the Denel board for an extension to the contract of then chief executive Riaz Salojee amid concerns over “drastic” changes to the board and implementation of a turnaround strategy at Denel was also allegedly ignored. She is quoted as saying: “We expressed concern that there would be no continuity if we all left, putting Denel at risk – with the 90% wholesale change (of the board) leading to instability”. “This was not in compliance with good corporate governance, fiduciary duty, the King III Report and government guidelines on state-owned enterprises board composition guidelines. The Commission heard Brown, after her appointment to Cabinet in May 2014, extended the Denel board’s term of office giving it another year. Despite what was termed ‘significant successes” that board, with one exception, was replaced a year later. A recommendation was made by the board, under Janse van Rensburg’s leadership, to extend Salojee’s contract, set to end in 2017. This did not happen and Salojee and two other senior Denel employees were suspended by the new board months later.